We framed this master suite bay window seating area with 25 yards of draping silvery silk, swagged back gently with french tassle tie backs. 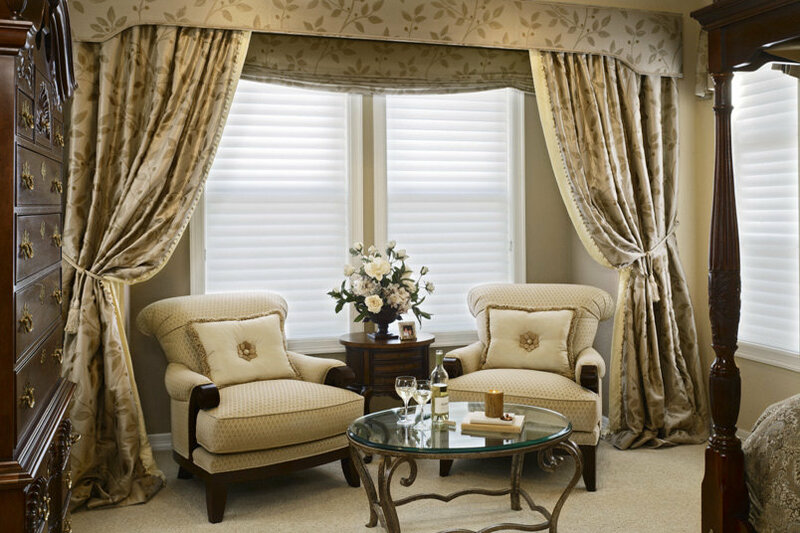 An upholstered hard cornice with braided trim crowns the top of this treatment, while a faux roman valance of the same material frames the window in the back. The diamond shimmering chenille on the chairs makes for a soft and relaxing space for reading or sipping on wine. It is both calm and very sophisticated.